Water quality has been in the news recently, or rather the decline in quality of our rivers and streams. Clean, fresh water is essential to life. 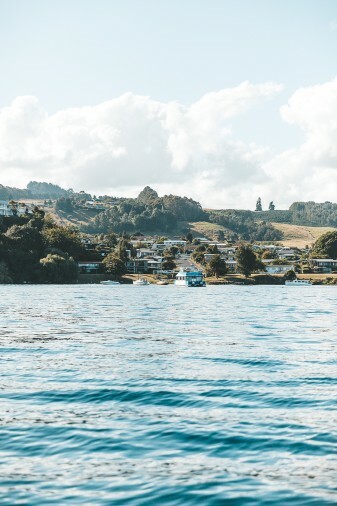 On this trip from 30 October–1 November you will see how quality freshwater drives a significant part of Lake Taupō's local economy. We'll take you whitewater rafting and fly-fishing to find out! Fresh water is highly valued by the local community here, and these values are reflected in the district plan which specifies how water and land are used. During this trip you'll discover how the needs of industry that rely on the river are balanced with the needs of ecology. You will see how DOC works with the local hydro-electricity industry to ensure pristine freshwater environments are not adversely affected. You will join scientists and rangers as they go about their daily work, measuring and recording water quality. This trip fits really well with big ideas like sustainability, water, communities, food webs, environments, bugs, land use, rivers and lakes, recreation and special places. This will be a highly motivating and fun science and social science trip. From November 14-20, go to a place that has fascinated explorers and scientists for over 100 years; Antarctica. Unlike early adventurers you won't be sailing there - you will fly on a C17 Globemaster. Your friends are Antarctic scientists and other experts. You will join them for meals in the Scott Base dining room. You will sit in on morning meetings to plan the day's activity. You will complete a survival training course before going out in the field. Then you will travel across the ice to do some cool science. More information and enrol free http://rata.learnz.org.nz/summary.php?vft=antarctica184.